Hybrid clubs have seen an increase in popularity over the recent years, with more and more PGA and LPGA players having at least one of them in their bag. Gone are the days in the past where hybrids are just a beginner's option for more forgiving long irons. Hence why it is crucial to find out which products can be labeled as the best hybrid golf clubs. 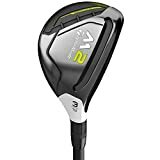 Nowadays, the technology surrounding the hybrid clu﻿bs almost reach the pinnacle of perfection, emphasizing all the strengths of the fairway woods and the long irons while almost eliminating all the weaknesses. Consequently, the interest for hybrid clubs is also increasing. That is why, in this article, we will do an in-depth guide to find the best hybrid clubs. 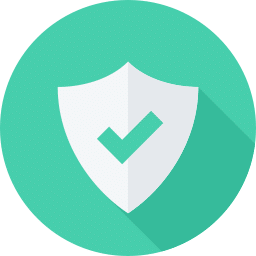 To begin with, we will first answer some of the frequently asked questions surrounding the hybrid, that will also act as the base principles on how we chose our recommended products. We will then provide comprehensive reviews of some of the best hybrids available in the market today. What are the important characteristics to look for in a hybrid club? What are the advantages of hybrid clubs? What type of golfer would benefit the most from hybrid clubs? What shaft material would you recommend for hybrids? What flex would you recommend for hybrids? What loft angle should I have? Should we expect pro golfers to only use hybrids instead of irons or fairway woods in the future? To answer this question, we must first understand the hybrid club and its purpose. As the name suggests, a hybrid is a combination of two different types of clubs, namely the fairway woods and the irons. Specifically, hybrid clubs stand in the middle of the higher-lofted woods (3-, 5-, 7- and 9-) and the longer irons (1- to 4-). Pro Tip: Hybrids were made as of mix of two different types of clubs: the fairway woods and the irons. 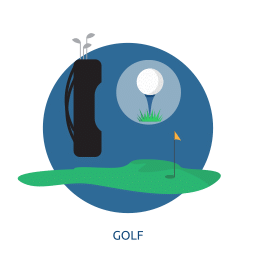 Thus, the main purpose (and common application) of the hybrid clubs is to replace the long irons, which is often known as the most difficult clubs to use. They are also often used to replace fairway woods when on the rough, which is again, a difficult practice. The purpose of the hybrid clubs is to bring more forgiveness, without sacrificing too much of the quality of the long irons or the fairway woods they try to replace. This is the main reason of using a hybrid club, so it should be the first thing to look at. 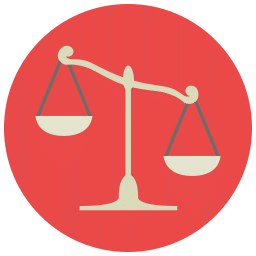 There are many ways to produce forgiveness, but typically they will boil down to just two methods: altering the center of gravity lower and further back, and making the sweet spot bigger. Different manufacturers can have different approaches, but those are the key principles you should look for. Fairway woods are designed for distance, while irons are designed for more control. Hybrids will usually produce more distance compared to the comparable woods, mainly because they are easier to use. Yet, you should also look for the versatility of the club to replace the long irons. The balance between both worlds is the key characteristic for the best possible hybrid. 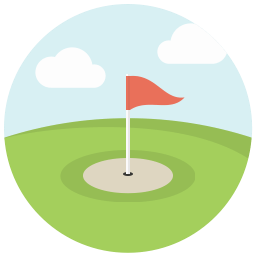 Here is an easy way to determine which hybrid number to use: your lowest hybrid should provide 10 to 15 yards shorter distance compared to the highest fairway wood you carry. This way, there will be no gap in distance coverage. The clubface of the hybrid club is typically flat similar to irons, allowing easier alignment. Yet, it is also relatively hard like the woods, allowing more distance. The head is typically rounded with a wider sole, allowing the center of gravity to be lower and further back. The center of gravity placement will not only allow more forgiveness but also helps you get more natural trajectory, which in turn will help with distance. This combination allows players to make a rounder swing, even if you have issues with slower swing speeds, which is a characteristic of fairway woods. A hybrid will not require a precise and upright swing commonly associated with hitting long irons. On the other hand, hybrid﻿﻿ clubs are shorter compared to the fairway woods, closer in length to the long irons. 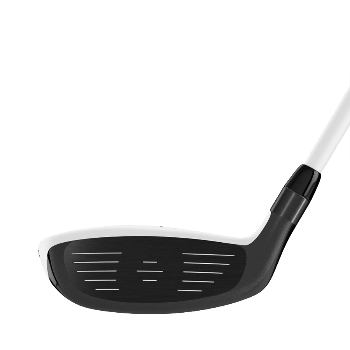 The shaft is also as thick as the irons, so it is less flexible than what you often encounter in fairway woods, which actually allows better accuracy compared to the woods. As a result, it is easier to make better contact with a hybrid compared to the woods and the longer irons. It is a feature that can appeal specifically to seniors which will benefit from an easier touch. Thus, a hybrid - on average - can give additional 4 to 12 yards of distance compared to the irons or woods they replace, especially for high handicappers. One thing about any hybrid is that they are often a jack-of-all-trade and master of none, and that is actually true with hybrid clubs. Although a lot of high-end hybrids can provide a nice balance between both worlds, they will never truly capture the advantage of fairway woods and long irons. That is, at least, a case in the present, as technology in the future might allow the making of the perfect hybrid. For example, on the hand of skilled players with sufficient swing speed and accuracy, a fairway wood will produce more distance compared to the hybrid. On the other hand, a long iron on the hand of a great player will offer more versatility and control. Hybrids are technically better suited for beginner players, especially those who have problems with hitting long irons or fairway on the rough. A lot of skilled players and even Tour players are utilizing hybrids to allow more forgiveness. Hybrids are initially made for beginners, not strictly limited to them. Female players will also benefit from hybrid clubs, in fact, there are more hybrid options for ladies, emphasizing their importance. High handicappers may evenly be able to benefit from these hybrid golf clubs by giving them more flexibility during shots. 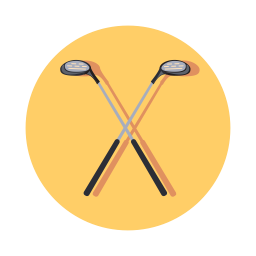 Hybrid golf clubs are usually better for beginner players - particularly if you have trouble hitting long shots. Advanced players use hybrids, but for their better forgiveness. With those points being said, graphite shafts will be more suited for most general applications of hybrids to assist players with less accuracy and swing speed. Keep in mind that the shaft on a hybrid is a little thicker compared to your usual wood, so it will not produce too much flex, which is often the problem of a graphite shaft. 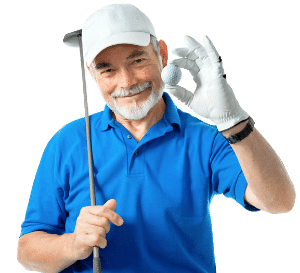 Therefore, in most cases, graphite shafts are a better choice for hybrids, excepting for players with higher swing speed but with accuracy problem. A steel shaft can help slowing their swing and bring more consistency. With hybrids, it's preferred to be using graphite shafts. Beginners (especially male players) tend to over swing, and softer flex can help slow your tempo. The right flex will totally depend on your swing speed and accuracy. Stiffer flex for advanced players, softer flex for beginners. 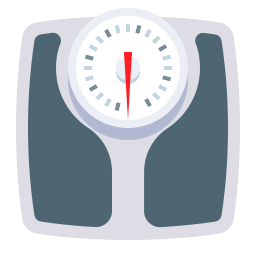 The easiest way to tell the correct loft is that your lowest-numbered hybrid should be 10 to 15 yards shorter than your highest wood, and you can fill in the blank for others. This way, there will be no distance gap between your woods, hybrids, and irons. This is looking to be the case, as more and more PGA and LPGA Tour players are using hybrids, and the number keeps increasing every year. 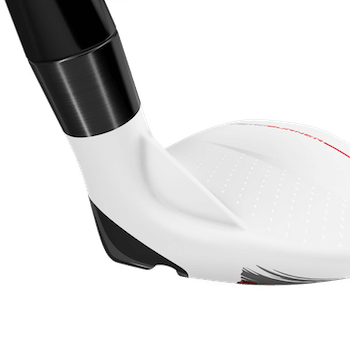 The technology surrounding the hybrid is advancing rapidly, and they are slowly becoming the perfect hybrid that can get all the advantages of woods and irons while eliminating their weaknesses. Phil Mickelson has been known to carry a Callaway hybrid prototype to accompany his driver and 3-wood. Jimmy Walker, 2014 Sony Open winner is also using a Titleist hybrid. Mark Wilson, Jim Furyck, Davis Love III and even Tiger Woods are some of the prominent players carrying hybrids in their bag. For LPGA, hybrids are even more common where most LPGA players are carrying at least one hybrid club. For example, Helen Alfredsson is carrying a hybrid to replace her 3-iron, while Ai Miyazato uses both 3- and 4- hybrids. We can expect more players adopting hybrids in the future, especially when the technology and design of hybrids are getting perfected, and it is looking very bright at the moment. After we have learned the ins and outs of the hybrid clubs, and what you should expect from them, here are our top picks based on the principles we used above. TaylorMade is, of course, one of the most prominent brands for golf equipment, especially for their notable drivers, which are some of the best in the business. Yet, they are not only about drivers, as their other clubs are constantly being the best-selling clubs with rave reviews. 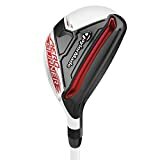 For hybrids, we actually have three TaylorMade products on this list, and the first one is the JetSpeed Rescue hybrid. The JetSpeed Rescue hybrid is designed to replace TaylorMade RocketBallz Stage 2, which was a very popular hybrid back then. 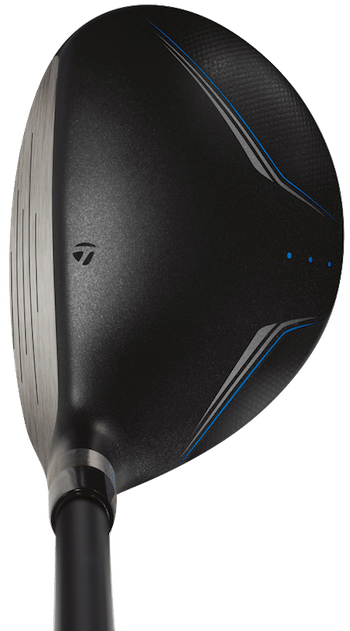 The JetSpeed rescue is especially designed to increase ball launch speed and height trajectory while decreasing spin, so you can see that it is a distance-oriented driver, typical TaylorMade. The design is also typical TaylorMade since the SLDR era, with a matte black crown and a white graphic to help with alignment. The silver color of the face contrasts really well with the black matte, allowing easier address. Besides looks, here are some key features you can expect from the TaylorMade JetSpeed Rescue Hybrid. 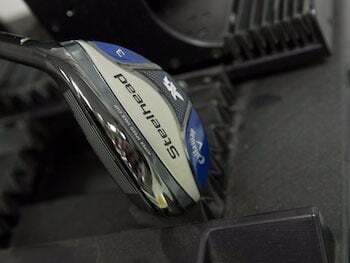 Great speed pocket is almost a signature of any TaylorMade clubs since the SLDR. In the case of JetSpeed Rescue hybrid, the speed pocket is directly behind the face, which is longer compared to the already excellent SLDR and RocketBallz, and there is more bend between the toe and heel, allowing more forgiveness and ball speed even during mis-hits. The ideal (and common) placement of the center of gravity nowadays is lower and further back. However, the JetSpeed Rescue features a forward and lower center of gravity. The forward position of the CG won't significantly affect the forgiveness, as the back CG is designed for easier elevation. A forward CG position allows fewer spin, allowing more distance which is the emphasis of this club. The low-profile head design makes it easier for players to strike the ball slightly below the middle, which in turn, launching the ball higher. This is a feature that aligns with the design of the club to produce more distance. This is also nice for forgiveness and giving you more playability in a wider variety of lies. The key highlight of the TaylorMade JetSpeed Rescue is the great value for money. 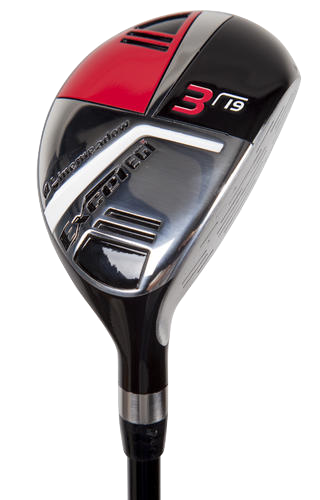 It will be hard to find a hybrid of similar quality, much less from a big name like TaylorMade with similar price. With the price tag, the TaylorMade JetSpeed Rescue offers a very decent set of features. 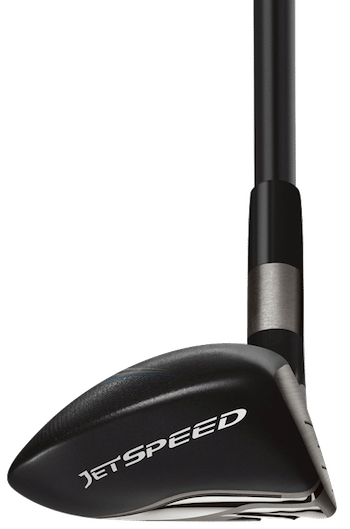 The JetSpeed Rescue remains one of the longest hybrid clubs available in the market, comparable only to newer high-end hybrids from TaylorMade, Callaway, or other big names. So, if you are looking for more distance, the JetSpeed Rescue is definitely one of the best options you can have. The Callaway Steelhead XR was just released in mid-2016. Callaway, of course, is a big name comparable to TaylorMade in all aspects, being two of the biggest golf manufacturers in the world. 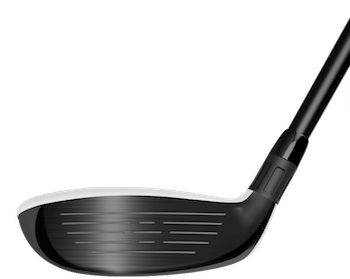 The Steelhead XR Hybrid will be a familiar look if you have used Callaway's XR clubs before, but you might notice that the head is bigger than the standard XR. Larger head is not exactly eye-pleasing, but it will give you more forgiveness, which we have stressed, is the most important trait for a hybrid. The face is very deep with a high toe and wide sole, classic hybrid attributes to give you more forgiveness with a bigger moment of inertia (MOI). One thing about Callaway is that they are not as flashy regarding their technologies compared to TaylorMade, but not to say they are not as effective. The large head and deep face alone is one of the reasons the Steelhead XR Hybrid is one of the most forgiving hybrids in the market today. Here are other key features you can expect from the Callaway Steelhead XR Hybrid. The Hyper Speed Face Cup is Callaway's face technology to allow the face to flex more at impact. This understated feature of many Callaway's clubs allows more ball speed during off-center strikes, in turn making it very forgiving. 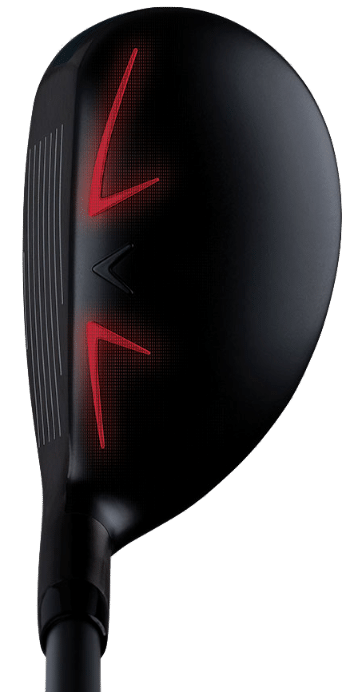 The Speed Step is a feature first seen on the Callaway XR driver, featuring a better aerodynamic design of the crown, making the head go faster during swings, which in turn allows more distance. The speed step will be especially significant for larger drive heads, like the Steelhead XR's, so you can expect easier time to swing even with the bulky and slightly heavy head. Callaway is, of course, known for the feel of their clubs, being very responsive and producing great sounds. With the Steelhead XR, you can expect the solid steel sound at impact, which is really good. The feel of the Steelhead XR hybrid is simply exceptional. Both of them are the classical traits for Callaway's clubs, and it is good to know that the Steelhead XR hybrid lives up to the big name. 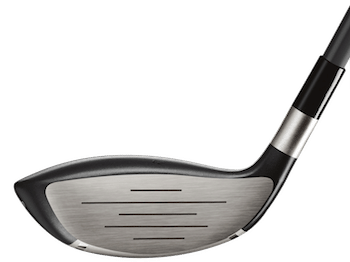 The Callaway Steelhead XR Hybrid is a typical Callaway club: classic feel and sound, not too much emphasis on distance, subtle but effective technologies, and great versatility. If you are a fan of Callaway, the Callaway Steelhead XR Hybrid is simply one of the best options. For those not familiar with Callaway? The Steelhead XR is exceptional in accuracy and forgiveness, and the pleasing feel at impact is a huge plus. Being one of the newer hybrids on this list, you can also expect the Steelhead XR to be a great long-term investment, especially considering its versatility. The Steelhead XR hybrid will be beneficial to players of different levels and is definitely worth one of our spots on this list. Our second entry from TaylorMade on this list. 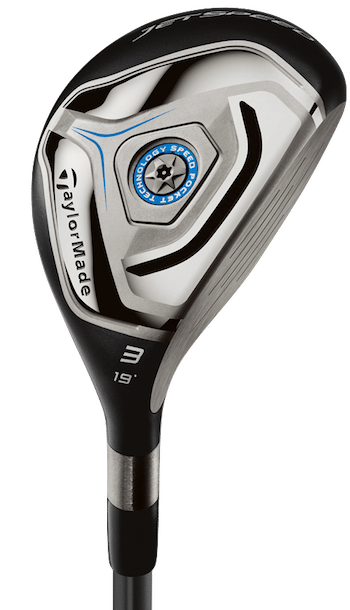 The M2 is the current flagship line of TaylorMade, and this is the latest 2017 edition, so you can expect all the new technologies here, and it is a direct upgrade from the aforementioned JetSpeed Rescue (you might notice the 'Rescue' naming intact). Of course, you can also expect a higher price tag, so the question is, are the differences significant enough to upgrade to the M2? If you are familiar with the M2 family of TaylorMade, there are some differences you will find in the hybrid. First, the head is all steel, rather than carbon-steel material found on the woods and driver. This affects the look a bit, as the head is now all-black rather than a mixture of modern black and white found on the driver. Second is the taller face, which is intended to give more forgiveness, which is the purpose of a hybrid club. The head shape is rather unique for a hybrid, slightly deeper, making it more like a slightly smaller fairway. Here are other key features you can find on the M2 Rescue hybrid. We have discussed how TaylorMade's speed pocket is a very nice feature, and it is vastly improved on the M2 Rescue. The speed pocket cavity is simply the longest and widest in the market, aiming to give higher ball speed on impact. 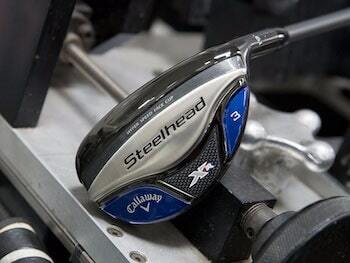 Now, the face flexes more at impact, similar to the Callaway Steelhead X2. In turn, the forgiveness of the M2 is significantly improved from the JetSpeed Rescue. The center section of the crown is increased, which is an attempt to aerodynamically improve the crown. This is a similar technology found on the Callaway Steelhead XR and is designed to reduce drag as you swing the head through the air. While we have discussed how the JetSpeed Rescue is one of the longest hybrids on the market, we can expect that the M2 rescue will improve over it. 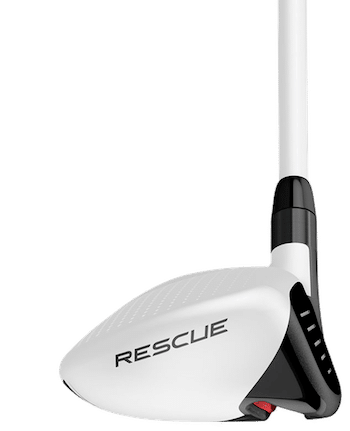 The newer technologies found on the M2 rescue allows a mid-high flight trajectory and less ball spin, allowing more distance without sacrificing forgiveness. After this in-depth discussion of the M2 Rescue above, you might have understood why we also included the JetSpeed Rescue on this list. Although the M2 Rescue is a better club overall, it is not as forgiving as the JetSpeed Rescue or the Steelhead XR discussed above. With the little sacrifice on forgiveness, you will get more workability, and most importantly, distance from the M2 Rescue . For better players looking for more distance and just a little forgiveness over their long irons, the M2 is an excellent choice and will be one of the longest hybrids available in the hand of skilled players. Beginners might want to stick to the JetSpeed Rescue for the better forgiveness. However, the M2 Rescue will be a better long-term investment, especially considering all the newer technologies and a very decent price tag. Ah, the third one from TaylorMade. The Aeroburner Rescue is a direct predecessor of the M2 Rescue, so it stands in the middle between the JetSpeed Rescue and M2 Rescue. However, the price difference between the JetSpeed Rescue and Aeroburner is not significant, in some cases you might even find a cheaper Aeroburner. Why is that? Let us dig deeper into the subject. 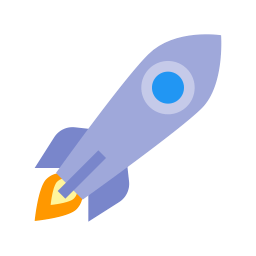 The Aeroburner Rescue features a lot of similar technologies compared to the M2, and you will also see many similarities to the JetSpeed Rescue, so let us focus on the differences. The AeroBurner is focusing on distance, and it is also one of the longest hybrids on the market, maybe only comparable to M2 Rescue. There is one key difference you will find on the Aeroburner: the draw bias design. It is specially designed to eliminate slice, and mind you, it is extremely effective. Therefore, if you are not normally producing a slice, your shots will naturally draw with the Aeroburner, which might be a downer for some, but a huge blessing for those with slice issues. Besides that, here are the key features of the Aeroburner. A signature of many﻿ TaylorMade clubs. The only difference between Aeroburner's speed pocket compared to the M2 is the flexing face found on the M2. The speed pocket is still the longest and widest available on the market today, and will ensure more ball speed during mishits, even more during solid hits. This is the key difference from the M2 Rescue and Jetspeed Rescue. The draw bias is extremely effective to help players with tendencies to slice. On the other hand, players that don't slice often will need to be careful and adjust their shots. The key highlight of the Aeroburner Rescue is the draw bias feature, which will be a great help for players with slicing tendency, which is a lot of beginners. Considering the fact that you can get the Aeroburner Rescue for a very decent price, it is a very nice overall value. Being a TaylorMade club, it is one of the longest hybrids around. 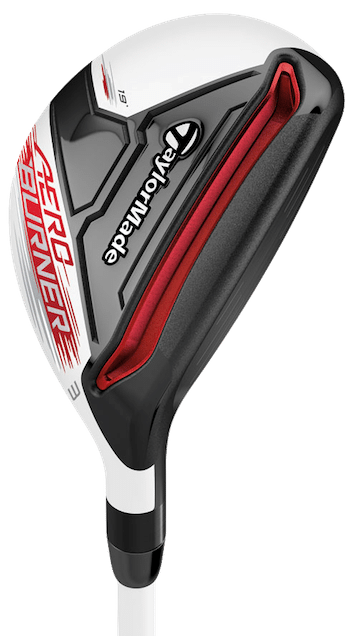 So, if you are looking for a great distance and to fix your slicing tendency, the Aeroburner Rescue is definitely one of the best choices around. Pine Meadow might not be as big of a name compared to TaylorMade or Callaway. However, the Excel EGI hybrid is a very interesting product, mainly because of the price tag and the overall value it provides. 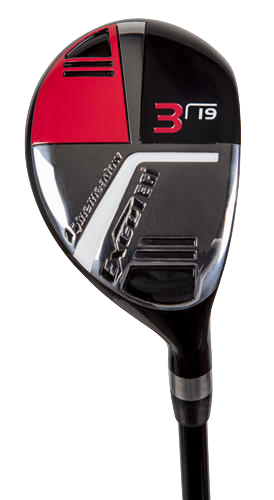 For a very attractive price tag, you get a decent hybrid complete with a graphite steel shaft. Look wise, it might not be anything special. However, the Pine Meadow Excel EGI is surprisingly forgiving, and can produce satisfying distance. 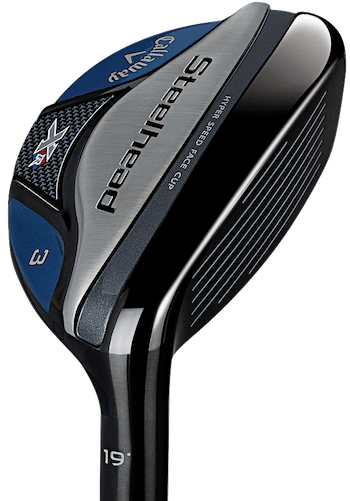 Of course, you can't compare the overall quality of the Excel EGI to the Callaway Steelhead XR or the TaylorMade M2 Rescue. Due to the very affordable price tag, we can even argue that the Pine Meadow Excel EGI Hybrid provides better overall value, especially for on-budget players. Here are the key features you can expect from the Pine Meadow Excel EGI hybrid club. Affordability is definitely the main highlight of the Excel EGI. 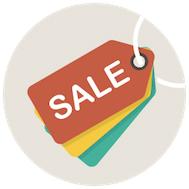 During all of our reviews, we have stressed the importance of the balance between price and quality. The Pine Meadow Excel EGI, being very affordable, provides very decent performance and overall quality. While you shouldn't expect flashy club design or technology as with TaylorMade or Callaway hybrids, the Excel EGI offers a surprising performance regarding forgiveness. The clubface is very low-profile, allowing higher natural ball flight. It is a very simple approach compared to TaylorMade's technologies for higher trajectory, but it works nevertheless. The slender shape and the wide sole produce the bigger sweet spot, allowing you an easier time to produce solid hits. Simple but effective. Cheaper clubs tend to be too light or too heavy, but that is not the case with Pine Meadow Excel EGI hybrid. The clubhead weight is actually on the heavier side but paired with the included graphite shaft, it is an excellent match. Graphite shaft with heavier head usually spells trouble, because the weight of the head will flex the shaft more. However, that is not the case with the Excel EGI. Nothing groundbreaking but it works! The PineMeadow Excel EGI hybrid does not give anything groundbreaking or exceptional in technology or feature. We can tell you right now that it will not be the best hybrid golf club. 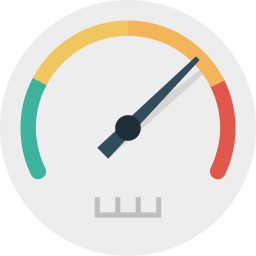 However, due to the fact that it is very affordable, the performance is reasonably decent, although inconsistent at times. Although you can’t expect similar performance both in forgiveness and distance as others on this list, the Excel EGI can be an excellent choice for beginners willing to try on a hybrid, especially those on a strict budget. The Excel EGI is, by no means, the best on this list. However, it can be the best on-budget choice for many players out there. ​The Callaway XR offers more potential, both in distance and workability on the hands of skilled players. We felt that it was the better long term investment for players of any skill levels. Beginners can still benefit from its forgiveness and a significant boost in distance. This brings us to the end of the article. Did you enjoy it? If you have any questions or suggestions, please don't hesitate to leave it in the comment section below. Also, if you liked it, don't forget to share this with your fellow golfers. 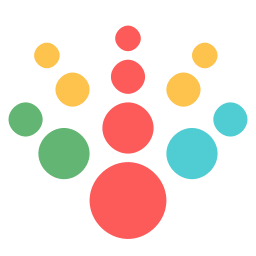 Stay tuned for more articles and buying guides from us in the future!